Yesterday I was writing a note to some staff whose pay we were correcting for the second time. In the note I wrote “We hate getting your pay wrong”. Hate is a strong word, but we really do. We know people rely on us for their weekly income and few things bug me more than to stuff that up. As I wrote the words “we hate” I was reminded that hating the right things can be really important. Hate is a dangerous and yet powerful word. It’s outright dangerous to hate yourself. Or hate a person. Or hate good. Hating the wrong things will focus you on the negative and drain the life out of you. To hate something, either good or bad, is the extreme opposite of loving it. What you hate, says a lot about your character. 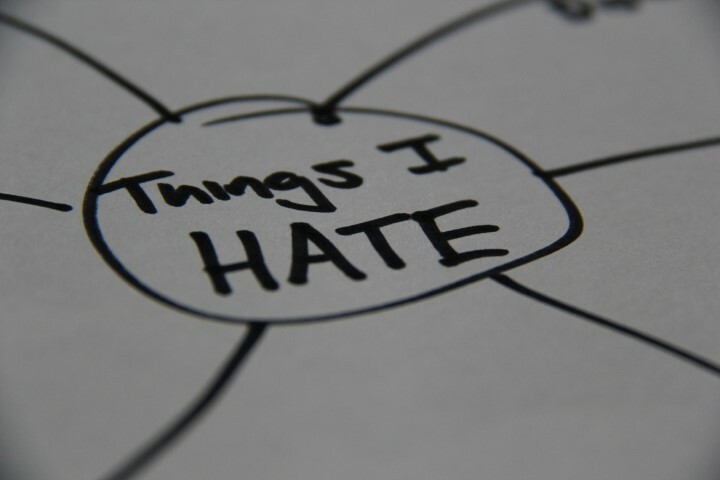 “I hate …” can be powerful and strong words and here are 3 examples. A person who hates being late is different to a person who “try” to be on time. Because she hates it, you can bet that they will do everything they can to be on time. Her hatred for being late says heaps about the person’s character. And if they are late, you will see that they are gutted. There are a lot of people in the world, who see injustice and dislike it. A few even dislike it a lot. I have not met many people who hate injustice, because to hate it means they are compelled to do something about it. To hate positively changes a person from apathy to action. At Agoge one of our values is integrity, which means absolute impeccable honesty. If I had to choose between a guy who hates dishonesty and one that tries to be honest, I would choose the guy who hates it. If he hates dishonesty it drives him to be honest and demand honesty. It means he cares about honesty and that is powerful. What you and I hate says more about us than we realise. It speaks of what we value, what we care about. And choosing the right things to hate, and letting go of the wrong things, will radically change how you live. I think sometimes we need to make a decision to hate something, not merely dislike it. It’s almost as though we need to build a hatred for it and by doing so that strong hatred will drive the actions. I would love to be able to say that “I hate injustice” but as I wrote this post, I realise I just dislike it. It’s something I need to work on. Maybe then I will take more action towards injustice when I see it.